So,never worry going against the grain if you have to! Focus. Always. Stay in Focus. It's a strong & easy thing to >stay in focus< but difficult to implement. Keep being positive. Watch positive things on tv that keep you assertive about life. Or read mind boggling and mind tickling stuff that may help you think out of the box.And I can write and give you what wonders can throng your life! :) Good Luck guys! May your dreams come true! :) The Universe is listening..
She really has an amazing voice! This was a good reminder to all of us. Thanks! I hope when you count the stars you begin with yourself, and may you embrace the moonlight with your dreams. omi lovely, goose bumps me too! Happy women's day! And we were in awe - I think the judges were also surprised by Ms. Boyle, - it shows that age cannot restrict you, you can be at your creative best at any age. You are so good at inspiring other people, Jen. Thanks for the lovely comment about my painting. I wanted to send you a nice personal email but can't seem to find your address, but figured you'd find it here. :) Thanks again for your support. she sings like an angel ;). Just stumbled by your blog and loved the way you write! I am your newest follower. If you want, you can follow me back via GFC! Hope you are having a wonderful day! Such an awesome voice :). 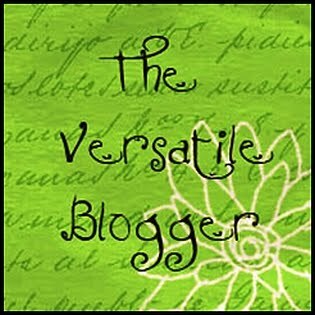 An Award for one of my favorite Blogger http://sweetsomethingz.blogspot.in/2012/03/versatile-blogger.html :D :). I also remember this episode. It just goes to show that we should never take anything at face value and should try to see beyond what we think we see. You always mesmerize me with your writing !! If you can cook anything at all (exept maggi :P) I would love to have you do a post for my Cooking With Kin Series. Let me know. Welcome to my blog and many thanks for so kind comment! Suzan Boyl is a star!! !Wonderful voice!!! Lol, internet makes it great to play catch up, no? I am liking yours too. I Love the header! I'm going to check that out right away *Princess POO :)!! SO SO True *Petty Writer!! Oh MY GOSH! :O I'll let you know *Kavi!! I know what you mean *escribble!! :) I know what wonders it can create :)!! Thanks for stopping by *Isha!! :) Means a lot. That's ok, other peoples' dogs freak me out. I only trust my own dogs not to bite me!